I don't mind going for long drives to get good food as long as, well, they are really good. The adventurous side of me is overshadowed by the reality of economics and time. You have factors to consider such as gas, time consumed, and toll fees. My brother told me two years ago about an Italian restaurant in Pampanga named C'Italian Dining that apparently serve delicious panizza. I just shrugged it off because his "klout" score is poor when it comes to food recommendation. No judgement there since I live with the notion that food is subjective but sorry bro, I love you but your taste's awful sometimes. Anyway, I've been seeing a lot of good reviews about the said restaurant. Really good actually. 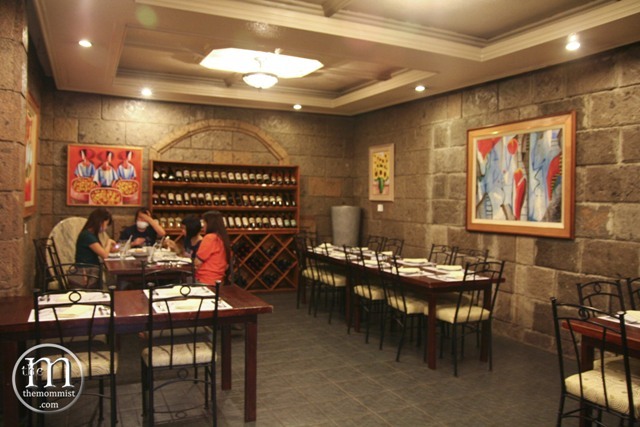 So, J2 dialed the resto's number, booked us a table, we hopped in the car, picked up my sister and her love slave, and off we went to take a journey to a place the Philippine Tatler included in their prestigious list as one of the "Philippines' Best Restaurants". 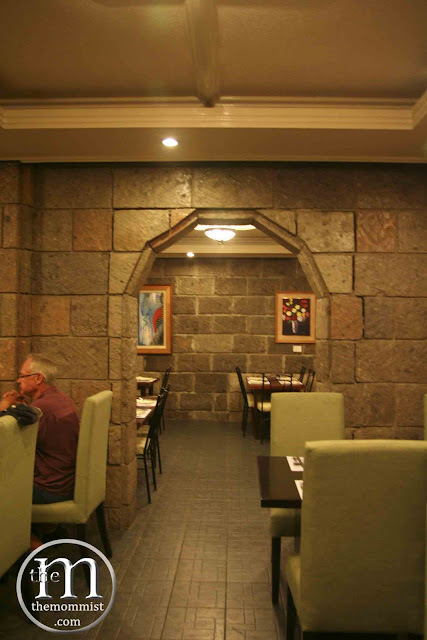 The restaurant is very unassuming (to put it mildly) outside. 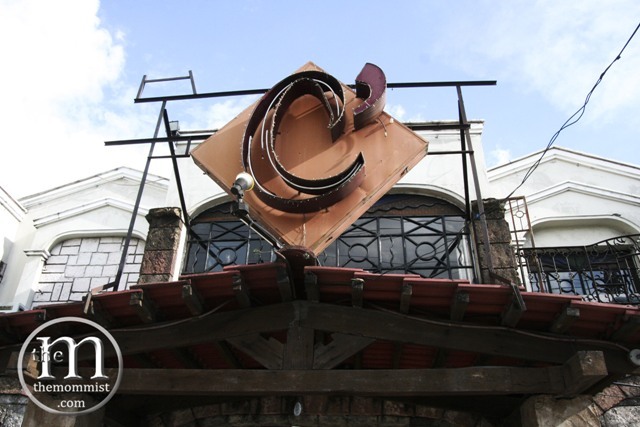 I had that wth-this-is-a-major-fixer-upper-why-dont-they-do-something-about-this-place look the first time I glanced upon its facade. I had a 360 degree turn in facial expression when we got inside. It's like going to a chic dungeon! 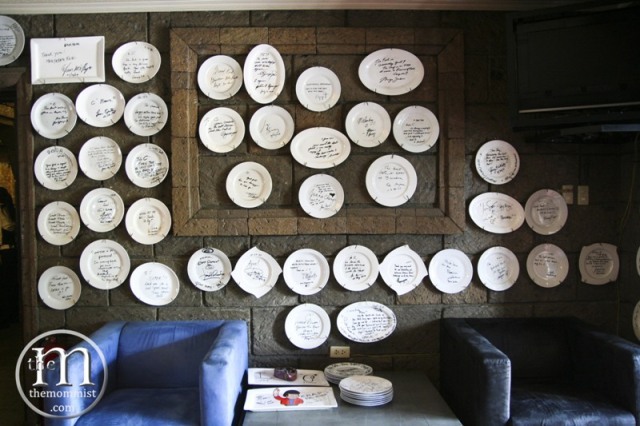 The interiors are made up of thick adobe walls, clay tiles, objet d' art, white painted vigas, and hundreds of autographed white plates. The thick adobe walls are the main reason why the mobile phone reception in the area is poor. C'Italian's most treasured wall of recognition is probably the one where autographed plates from the Philippine Presidents and our country's top politicians hang. I'll have mine hanged there someday and it's going to be fluorescent pink with Swarovski crystals. 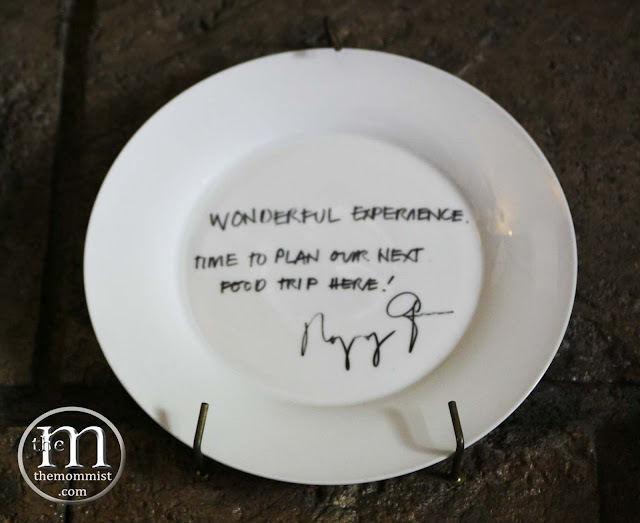 Below is a signed plate of attestation from the current Commander-in-Chief of the Philippines, President Noynoy Aquino (for those who live under a rock). I wonder who he was with that time. There's an autographed plate from a woman he dated near his so maybe he was with her. 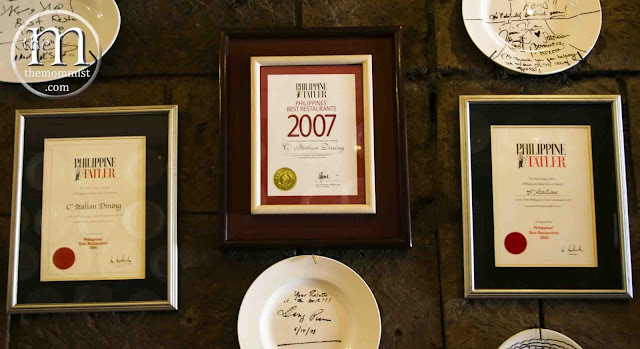 Il diritto di vantarsi muro or the bragging rights wall where awards from the Philippine Tatler hangs. That is not what they call this wall! I just invented the term. They actually call it the "who's your daddy wall". Kidding, of course! The dungeonesque interior made us feel very cozy. The setting is simple and not at all intimidating. 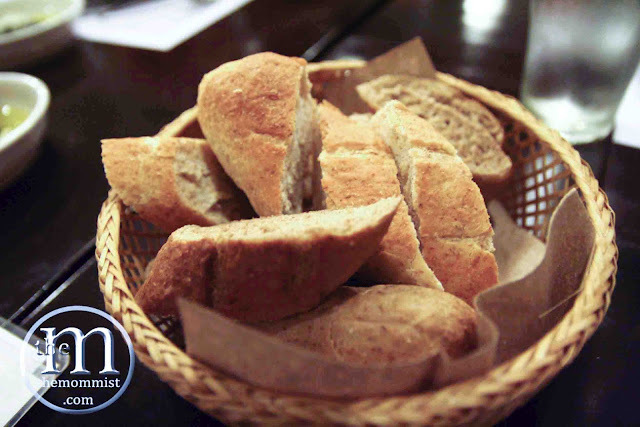 You'll be given complimentary warm wheat bread in a basket plus pesto with olive oil and grated parmesan dip once seated. The warm bread's perfectly soft in the middle while the crust is a bit crunchy. The fragrance and freshness of the basil is evident in the dipping sauce. Delicious! 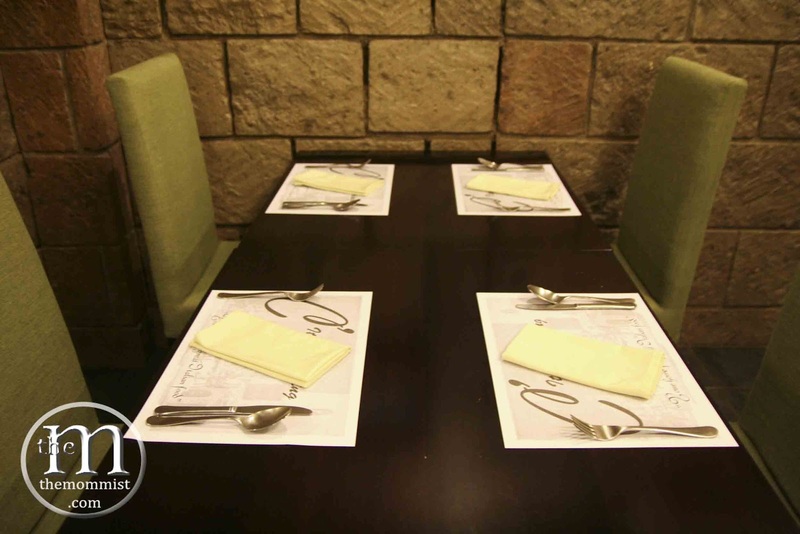 C'Italian is known for its delicious panizza which was the original creation of Chef Chris. Panizza is actually a variation of pizza with an extremely thin crust that is soft and malleable but crispy on the sides. The malleability of the crust serves a strong purpose for the way the panizza is eaten. 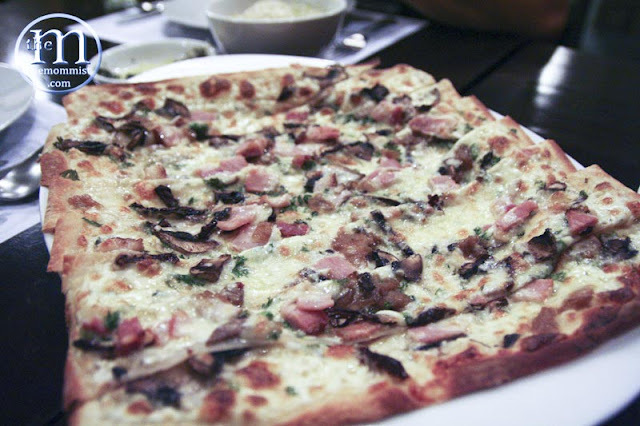 From their extensive list of panizza variety, we ordered the Kristina Panizza which is topped with bacon, ham, caramelized onions, sun dried tomatoes, and mushrooms. All the toppings blended perfectly creating a magnificent flavor that will enliven everything good in you. I actually forgot to take pictures of how it is eaten because I was in a state of natural delirium from the first bite. It is seriously very delicious! The best I've ever had! *Put an arugula and alfalfa on top of that piece, preferably towards one end so that they will be secured perfectly upon rolling. *Close your eyes and take a big bite. Delizioso! 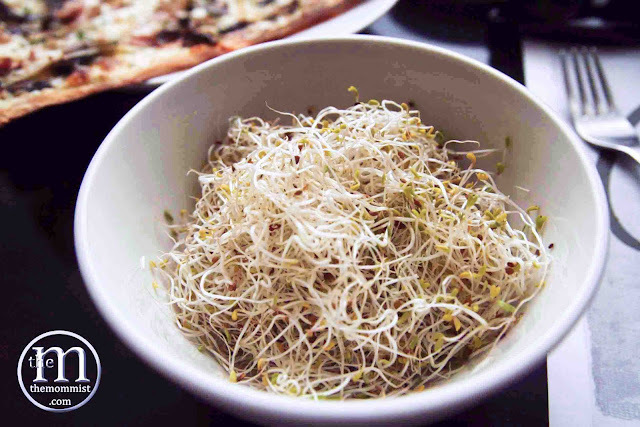 Our server was kind enough to inform us that they ran out of arugula and will give us extra serving of alfalfa instead. We were still in a state of trance from the panizza when the Gnocchi Angelo was placed in front of us. 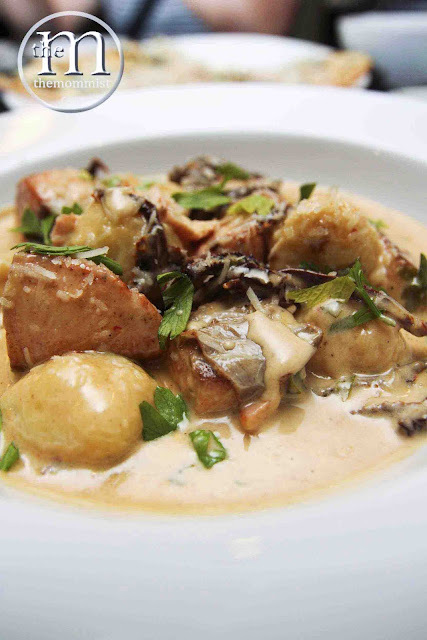 I have a lot of love for these Italian potato dumplings. 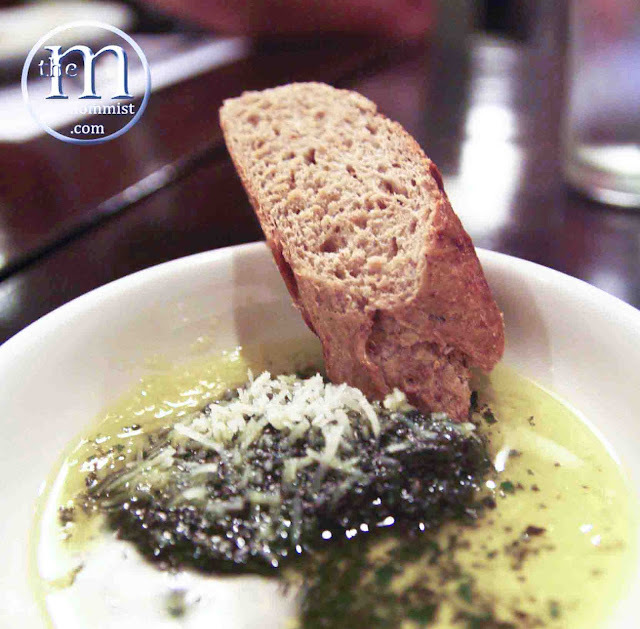 The one they serve at C'Italian is a blend of potato, manchego, and parmesan cheese that is poached in chicken broth and sautéed in extra virgin olive oil. The whole dish just makes you want to cry and laugh at the same time while doing a cartwheel. I'm not delirious or anything. I am just passionate about great food! Having said all that, I still took a liking to this pasta dish. 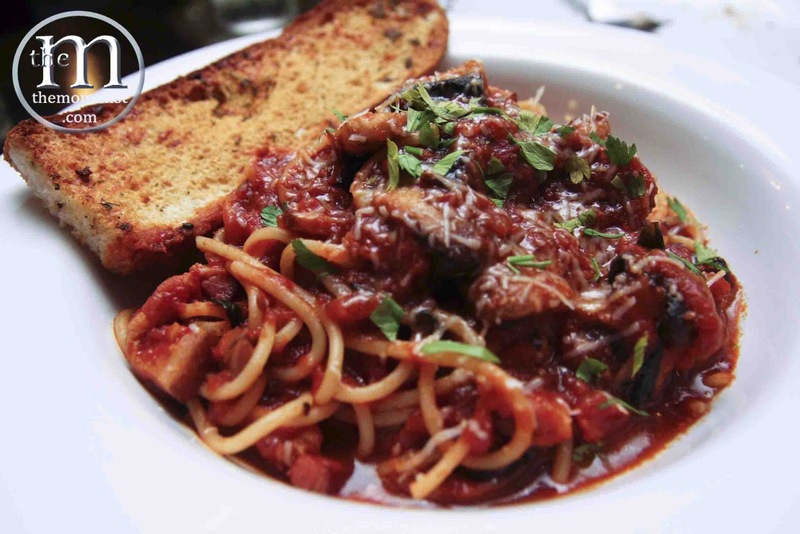 This bacon and mushroom with tomato sauce pasta dish is good. The most benefit I got from this was the taste of freshly-made pasta. There's nothing like it! The serving size are ample enough for sharing. It was wise for us to bring along two more people rather than just me and my husband. If it was just the two of us, we would not be able to finish what we ordered since the dishes lie heavy in the stomach and they will fill you up easily. I gotta give credit to my brother for this recommendation. 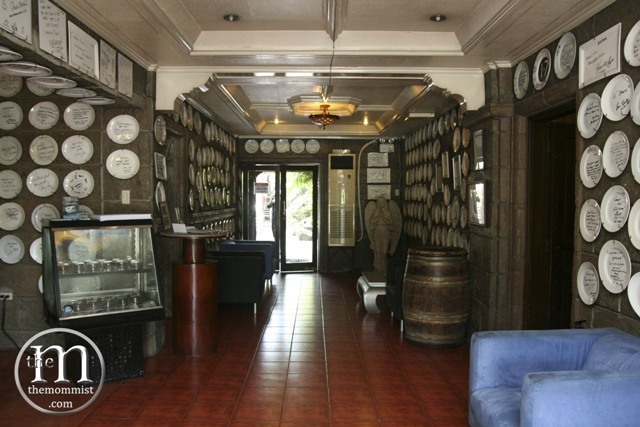 They do serve delicious panizza! I wouldn't mind taking a long drive for food this good! HOW TO GET THERE: Take the Angeles exit, turn right then go straight. You'll hit the Mac Arthur Highway. Turn right and go around the rotonda. Take the road going to the Clark Freeport Zone. Once you see the Jollibee store on your left hand side, make a left turn there and at the end of that street turn right. Go straight until you see the C'Italian signage on your left.